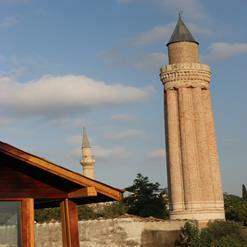 Built at the end of 15th century, Balibey Mosque is one of the significant architecture of Antalya. It has a magnificent cubic design; the mosque has undergone restorations around 4 times in years 1850, 1905, 1963 and 1980. Exterior of the mosque is a Turkish style designed, all covered with tiles.